Nowadays there are many ways to go about accessing your credit score and credit report. Many of the companies out there offer pretty much the same services, they may just present them differently. Your credit score is crucial because both creditors and lenders utilize this information when deciding to do business with you. For this reason, it behooves you to find out what your credit score is 6 to 18 months ahead of applying for any type of loan, housing or job. You will get insight as to if you would be approved, what type of rates you will qualify for and most importantly, if it is necessary to try and increase your score. Before we delve into where you can get your credit score and report, you should know some of the basics surrounding your credit. 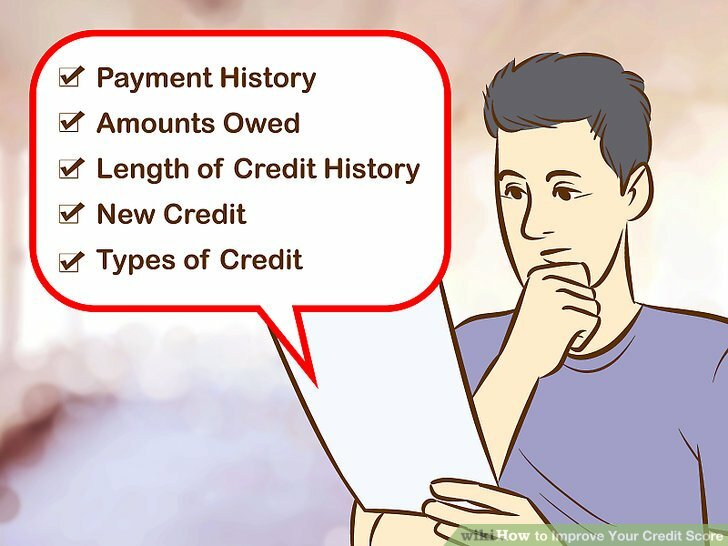 Credit Reports provide an in-depth look at all the loans you have taken out as well as any credit cards you have used. For every account, your credit report will show your history of payments, your credit limits and balance, the date when the account was open, and if you have since closed it. In the US, there are three major credit reporting bureaus: Equifax, Experian and TransUnion. Each of them gathers info about consumers' personal details and as well as their habits when it comes to paying bills. Your credit score is a 3 digit number that is determined by the information that is contained in your credit report. This number is then used by lenders to gauge how "creditworthy" you are. Although each credit reporting company calculates scores differently, they all utilize a mathematical algorithm to factor in things like your payment history, balances you owe, how far your credit history dates back etc. This score does fluctuate over time in order to portray an accurate picture of your present financial behavior. Whether you access your free annual credit report from the 3 agencies (Equifax, Experian and TransUnion) or you subscribe to a monthly credit monitoring service, you may think you are getting the same score the lenders get. Many consumers are taken by surprise when the credit score they purchased prior to applying for credit does not match the lender's credit score. There are two main reasons why credit scores differ. There are either discrepancies in the methods they use for reporting or they are using different scoring models. Consistency - Some data providers do not give information to each individual credit reporting agency. Timing - The time schedules used by data providers may vary from agency to agency. Accuracy - If any changes are made to personal information, it must be matched with the correct credit file. Privacy - Credit reporting agencies do not share inquiries or details with each other. It is at the discretion of both lenders and other creditors to decide when and what information to report as well as which agencies to report to. Some lenders are providing reports on a monthly basis, where collection agencies may only report on a quarterly basis. There are also agencies that only provide reporting to a single credit reporting agency. If there is just a one week difference in reporting information to the agencies, that is enough to make a difference in the score you receive from each one. Given that the reporting agencies do not share information between each other, the score and report you buy may very well be different than what the lender has. The method used for calculating your score varies for each credit reporting or monitoring agency. Their calculations are based on complex statistical, mathematical or algorithmic models. These proprietary scoring models are protected by patents, trademarks and copyrights. Generic credit scores are used as educational tools for you by credit monitoring services. They can help you learn how to go about increasing your score over time. They can also help you understand how your score is affected by things like late payments, opening new accounts or paying off debt. Industry credit scores tell, for example, car lenders your payment history for your car loan. This score is most likely different from your mortgage or credit card score. If you have ever had a car repossessed, your auto industry score will probably be low in comparison to your mortgage industry score if you have not had any mortgage delinquencies. Custom credit scores are often based on a lender's own in-house system. Having the ability to calculate a custom score based around the lender's specific credit products and customer base allows them to better assess the creditworthiness of a consumer. Specific lenders like auto, mortgage and credit cards are often using their own proprietary scores. You have no way of controlling what credit scores you or a lender will receive at any given time. What you do have control over is the information in your credit file and making sure it is accurate and current. Check to make sure your personal details like name, address, birth date, Social Security number and employment information are correct and up to date. If you have a common name, make certain your report does not contain other people's information. If you are receiving collection agency notices, call the original creditor and have them check their reporting. Having duplicate items on your report can affect your credit score. If you do correct or dispute any items, make sure you do so with all three bureaus (Equifax, Experian and TransUnion). You do not have to be a victim of identity theft or fraud. There are steps you can take to protect yourself. Accounts: If you come across any accounts that you did not open, this may be a sign that someone has secured a line of credit using your identity. Inquiries: There is a section called “Requests viewed by others" on your credit report. Peruse the list of creditors for any names that don't look familiar. Addresses: If you come across an address you have never resided at, this could also be a sign that someone has attempted to get a line of credit in your name. If you have reason to believe that fraud has taken place on your credit report, applying a fraud alert to it is the first step. There are two types, an initial fraud alert and an extended fraud alert. If you think fraud has occurred but are not entirely sure, you can set up an initial fraud alert which lets lenders know you may have been a victim of fraud. The lenders will then be extra vigilant when it comes to giving someone a line of credit in your name. If you know for sure that fraud has occurred, you can request an extended fraud alert. This type of high alert requires either a victim statement or police report. Before lenders will approve any credit application in your name, they will need to verify your identity over the phone. Keep in mind that any fraud alert placed on your report may slow down your approval process for any new lines of credit. File an identity theft report with your local police department. Call a credit reporting agency and speak with their fraud department. They will help you begin the process of resolving the fraudulent information on your report. Tip: Once you notify one agency, they will notify the other two agencies. Just make sure to confirm this first. Place a 7 year fraud alert on your file. The police report you filed will be needed to enact this. Accessing your credit score and credit report should not be a painful process. Below is a list of top websites that offer both credit scores and reporting. Monthly Credit Score Tracking- They will alert you if they spot a big change in your credit. A 3 bureau credit report that comes with 19 different FICO scores, as well as details on what types of lenders use which score and tips on how to increase it. Feedback and tips on how to boost your score on how to increase your score based on where it is currently at and what your next steps should be. An extensive library of current educational materials to help you better understand how credit works.